Shot on two Sony FS7 and Canon lenses. Produced and directed by Vera and Daniel Straten. Additional camera by Pat Calderwood. 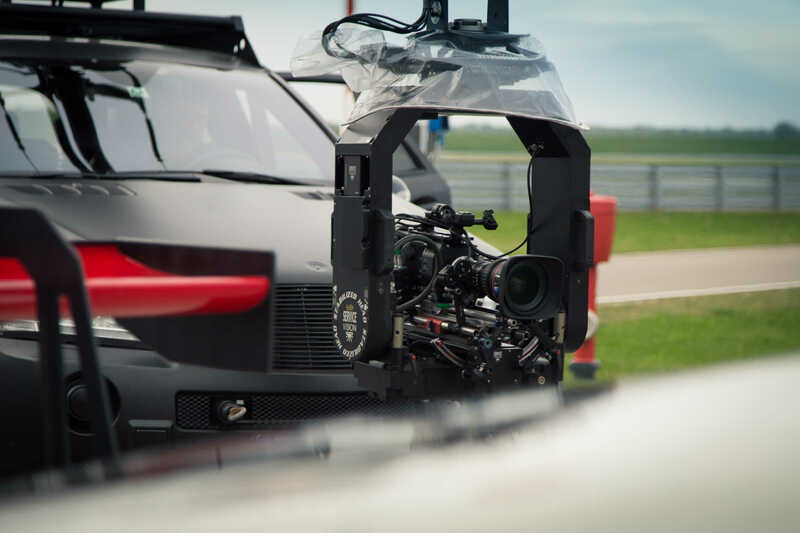 When it comes to film fast moving cars you might also need a fast moving camera. 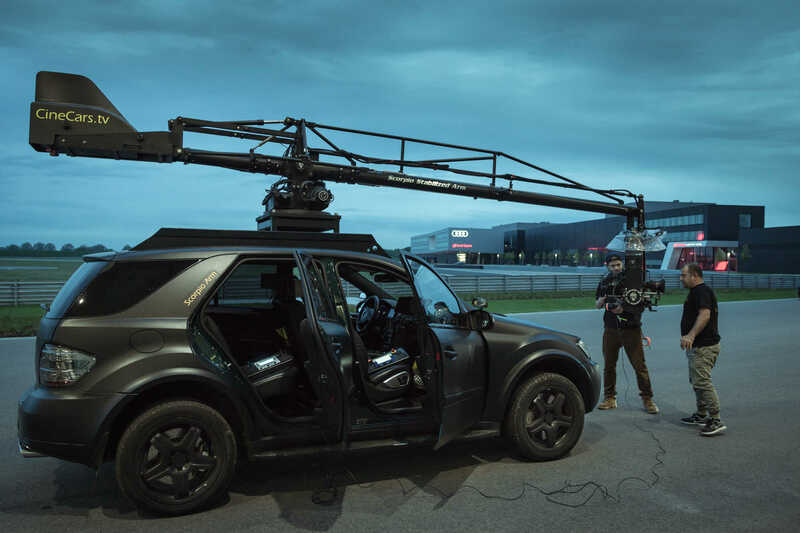 Mostly cameramen are used to rig smaller cameras on nearly every part of the vehicle or film out of the back of a station wagon with the camera mounted on a rocker dolly. That´s our usual business. 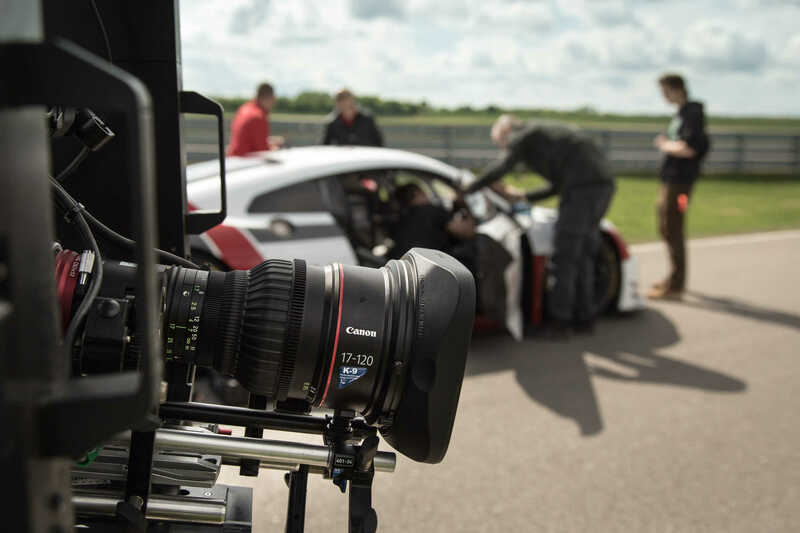 But if we speak of chasing after an AudiR8LMS … there are not so many options to get the job done. 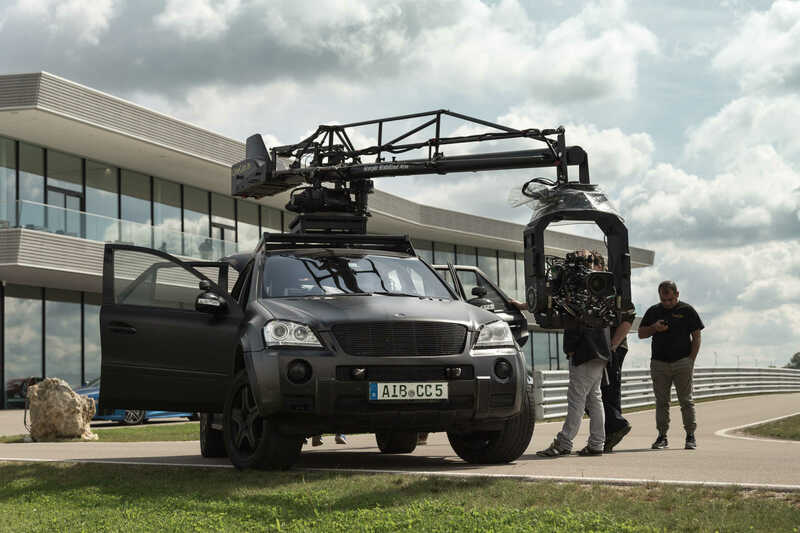 Thankfully Munich based Cinecars offer an ideal solution: the scorpioarm mounted on the roof of a Mercedes ML driven by a 510 PS V8 AMG engine. Moving the 4 axis scorpiohead from the control panel on the back seat caused my head spinning...but became sheer pleasure very quickly. 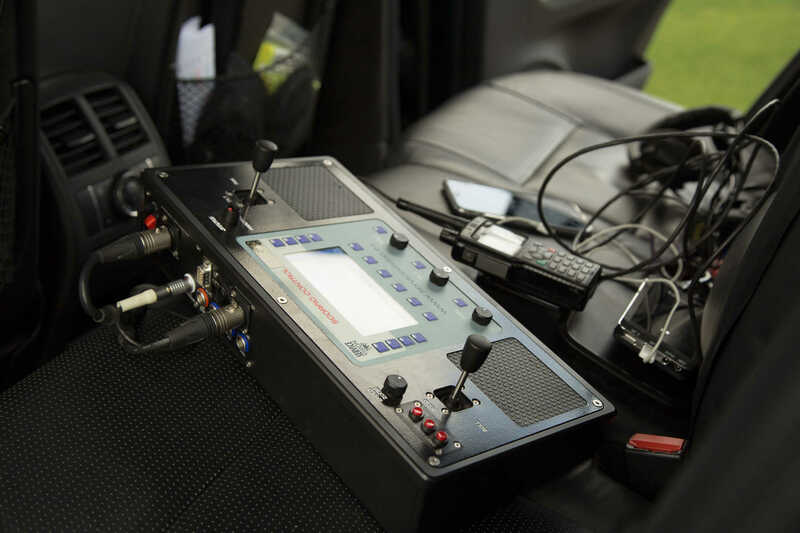 No need to say that you need a really experienced precision driver and a skilled arm operator to get all these powers under control.